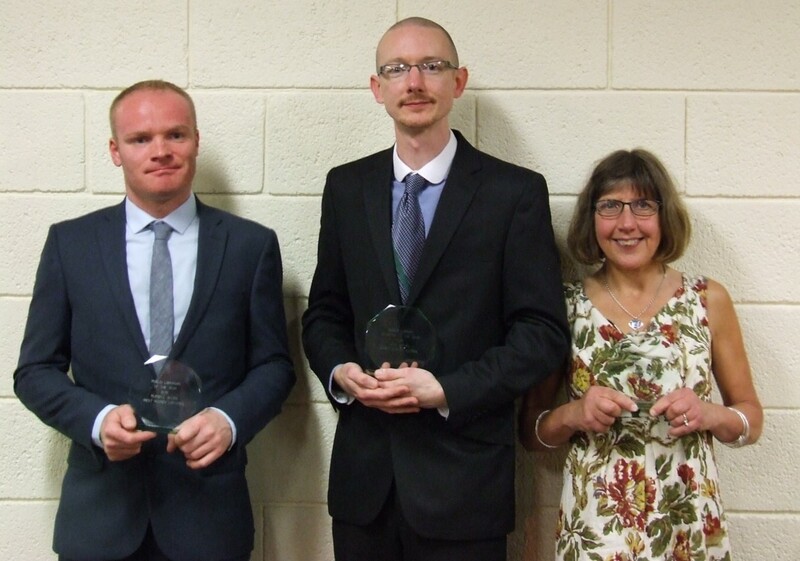 Guest post from Jacqueline Widdowson, Chair of the Public and Mobile Libraries Group: On 9th October 2015, three outstanding public library staff received recognition for their achievements, at the Public and Mobile Libraries Group conference Awards Dinner. The 100 strong gathering of public sector library staff applauded the remarkable customer service, expertise and professionalism of the three winners, who were each in turn presented with a personalised engraved trophy and CPD prize. Russell Allen from West Sussex, received £250 of CILIP training credit for his ability to bring a project from inception to completion, taking both national and local considerations on board and bringing colleagues with him. Award sponsors, Lorensbergs, explained that Russell was recognised “for his awareness of the bigger picture and wider impact of his work”. Russell has personally been involved in launching several youth service initiatives (such as automatic membership for looked after children) and as an active member of the Association of Senior Children’s and Education Librarians (ASCEL), the Youth Libraries Group (YLG) and The Reading Agency (TRA), has also contributed to national developments in youth services. Devon's Annie Brierley received a year’s free subscription to CILIP for bringing a ray of sunshine to her branch library. Annie is a Library Supervisor, who since joining the team at South Molton Library has secured her branch at the heart of the community. Annie’s contagious positive attitude has enabled the library to develop strong connections with partner organisations, build a vibrant programme of events and raise visitor figures by over 10%. Whether there is a coffee morning or a yarn bomb* going on, the branch has come alive with smiles and activity. [*note from Ed - wish we had a photo of this, am very curious to see what wikipedia describes as 'guerilla knitting' in action!] One user described Annie as ‘Cake’ – a real treat. John MacNab from Essex, received £250 of PMLG training credit for exemplary customer service and an innovative approach. Hinds Bendalls, award sponsors, presented John with his trophy, remarking on his interpersonal skills: “John listens to what his customers want and delivers every time”. This trait is evident in his responsiveness to customer needs: John improved his route to incorporate a school stop for regular school visits; his loans are up nearly a third because he helps customers find material they will enjoy; he works with deaf children and those with English as a second language; helped a reader whose daughter has learning difficulties find dyslexia friendly books; and assisted a library user who was caring for a seriously ill spouse by providing appropriate books and ‘inestimable help, professional understanding and kindness’. Trophies were also awarded to four library services for their mobile vehicles, recognising the work of Authorities and vehicle builders in bringing innovative design and new developments to Mobile Library services. oops - scrub that - just looked at the photo in more detail - you were right!